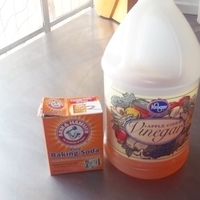 Basic recipe for unclogging your sink without using expensive commercial drain cleaners. It's not for really serious problems requiring professional help, but it does work very well. Update: to this recipe I added 1/4 cup liquid laundry detergent and cleaned the carpets for 75% less than using carpet shampoo, and it worked great. 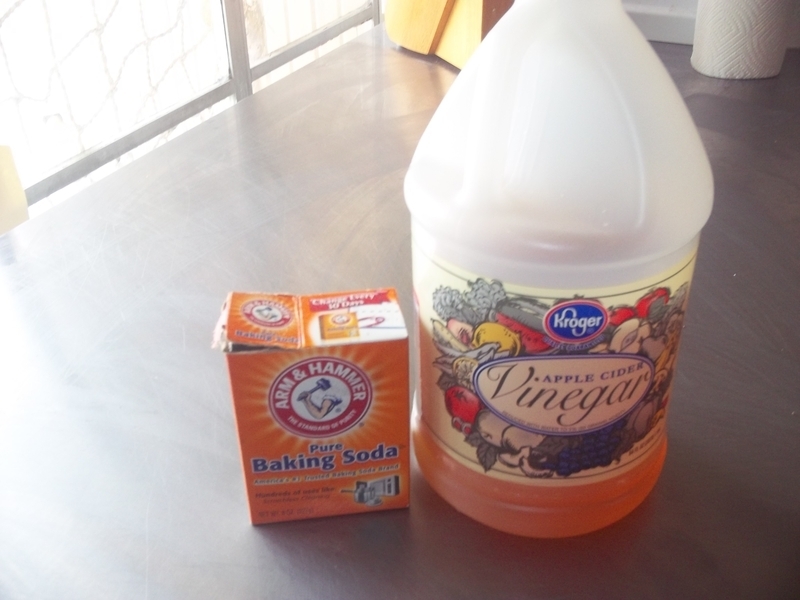 Pour hot water in the drain, followed by soda then vinegar. It will foam up. Leave 1 hour, use the plunger, followed by hot tap water.